WHALE researchers are hoping a humpback whale calf born off Cape Woolamai, Phillip Island will be able to reach warmer waters. 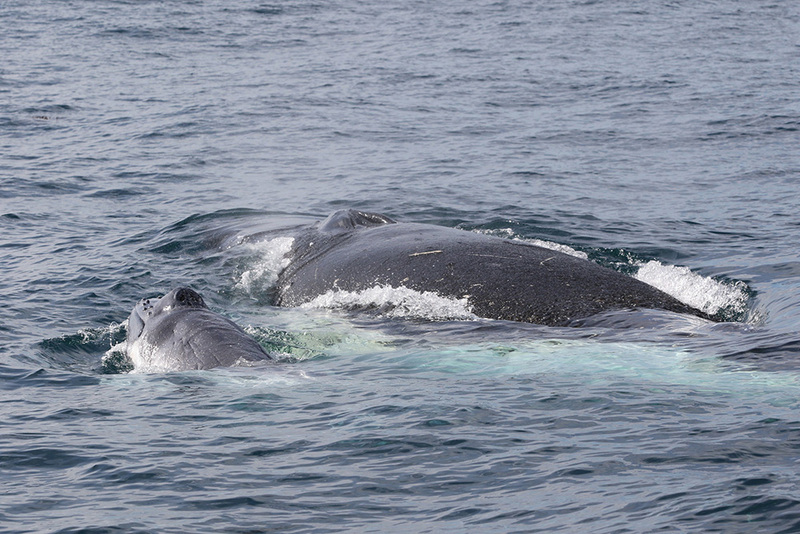 It is the youngest ever humpback spotted in Victorian waters and only the third calf recorded. David Donnelly of the Hastings-based Dolphin Research Institute said the calf, less than four metres long, was about two days old when first spotted this week swimming alongside its 16 metre long mother. “It’s possible that our cold waters could be dangerous for the calf,” Mr Donnelly said. He said the calf’s prominent foetal folds would “fade as the calf matures”. “The mother was one of the largest humpback whales the DRI team have ever observed … Hopefully her size and condition indicate an experienced mother and she will be able to slowly move her calf to warmer waters before they return to the Antarctic feeding grounds in the coming summer,” Mr Donnelly said.